This Court is of the considered opinion that all the public prosecutors, representing the department of prosecution in the criminal Courts in the State will have to make sincere efforts to request the Court to award suitable compensation not only in the cases where they end in conviction but also in the cases where the criminal cases end in acquittal or discharge, the Court said. 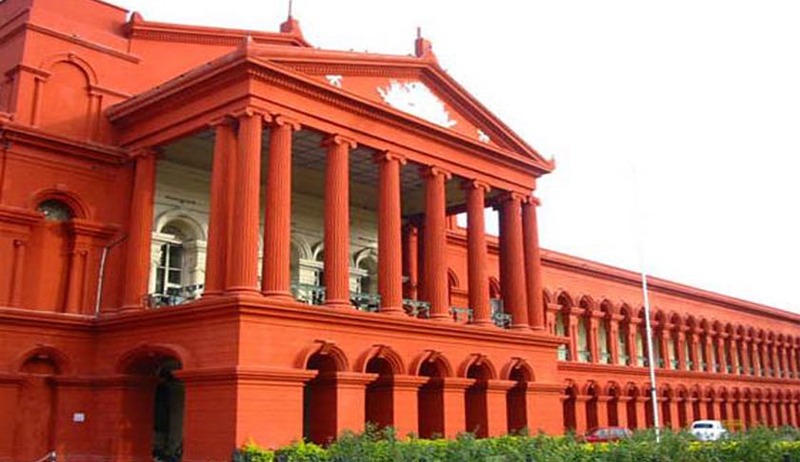 In a significant ruling, the Karnataka High Court has directed all the Public prosecutors to make effective representation before the Courts hearing criminal cases, to award suitable compensation to victims of crime, not only in the cases where they end in conviction but also in the cases where the criminal cases end in acquittal or discharge. Justice Chandrashekara said that the direction issued by Apex Court in Suresh vs. State of Haryana, (2015) 2 SCC 227 is a binding precedent under Article-21 of the Constitution of India for all the Courts and the concerned authorities in the state. The High Court was hearing an appeal by a person convicted under Section 304B IPC (Dowry Death). The court dismissed his appeal and sentenced him to 10 year imprisonment and also directed the Karnataka State Legal Services Authority to take appropriate steps to award suitable compensation payable to the father of the victim/deceased, inasmuch as, he has spent sufficient money in connection with the marriage of his deceased daughter and consequential loss caused to him because of the untimely death of his daughter due to dowry demand. The trial court had only directed payment of Rs.15, 000 as compensation to parents of the victim girl. The court observed that Court is empowered under Section-357 of CrPC to award compensation only when the fine is imposed as sentence, but the provisions of Section-357A of the Code of Criminal Procedure enables the Court to award compensation even where the cases end in acquittal or discharge. There will be nobody to make a request for awarding suitable compensation on behalf of the victims of the crimes or kith and kin of the deceased/victim. Under such circumstances, all the criminal Courts in the district judiciary are expected to take into account the dictum of the Hon’ble Apex Court rendered in Ankush Shivaji Gaikwad Vs. State of Maharashtra (2013) 6 SCC 770, and in Suresh and another Vs. State of Haryana, (2015) 2 Supreme Court Cases 227,even where the cases ends in acquittal or discharge, the court opined. The court added that, obligation caused upon the criminal Courts under Section-357 is a statutory obligation and its objects and meaning can be achieved only when the criminal Courts award requisite compensation as per the notification issued by the Government of Karnataka, Home Department (Crimes), without fail. The Court also directed all the public prosecutors, representing the department of prosecution in the criminal Courts in the State will have to make sincere efforts to request the Court to award suitable compensation not only in the cases where they end in conviction but also in the cases where the criminal cases end in acquittal or discharge. The Director of Prosecution and Government Litigation in Karnataka Bengaluru has also been directed to issue necessary circular imposing obligation on the part of all the Public Prosecutors working the State to make effective representation before the Courts to awarding suitable compensation not only in terms of Section-357 of CrPC. but also in terms of Section-357A of CrPC. The Court has also directed the Karnataka Judicial Academy to sensitise all judicial officers serving in the districts about the directions of the Supreme Court and the High Court regarding the mandate of Section 357A of the CrPC.